Prestera Trucking, Inc of South Point, Ohio, is currently looking for qualified team drivers to help manage our accounts throughout the country. To be considered a qualified driver, you must meet the list of requirements as listed below. Moreover, we are currently looking for teams to join our family of drivers. All interested parties are asked to submit their information to this link where you can complete the online driver application or you may call our recruiting line at (740) 894-6321. We offer top pay and benefits for qualified drivers. At Prestera we hire people, you and your needs are important to us. Being flexable and respecting your family time is always considered. Come join our family where you are a name not just a number! All drivers and teams can expect to transport hazardous material (no hazardous waste) . Owner/operators may choose from percentage (73% of linehaul) or per-mile pay (all dispatched miles) contracts. 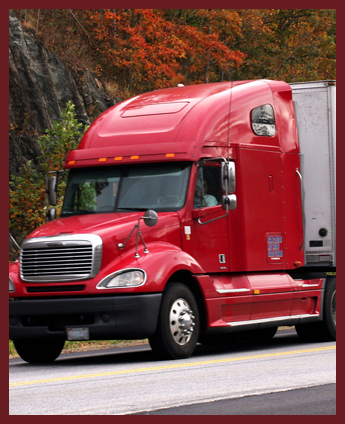 You can expect to earn more than $275k per year hauling our quality freight. You will receive weekly settlement and direct deposit of funds. Furthermore, drivers also receive driver recruitment bonuses and safe-driver bonuses. When driving for Prestera Trucking, Inc, we'll furnish your truck with satellite, EZPass™, PikePass and Prepass for toll roads. Additionally, we cover all cargo and liability insurance premiums, as well as offer insurance programs for qualified drivers. Members of our company driver team earn top-tier pay per mile in addition to a guaranteed minimum pay and a meal per diem and the opportunity to accrue vacation and personal days. Payments are distributed biweekly through direct deposit into the account provided. All company team members may also participate in our health care plans and put money towards a 401(k) account. For accepted applicants, Prestera Trucking, Inc will pay the cost of your travel expense to pick up your assigned truck and additionally you will be payed for time in orientation. All vehicles are outfitted with EZPass and Prepass to cover tolls, Qualcomm eLogs®, and APU's.